Today was like any other normal day at Peerless. Folks were here bright and early, working on many projects all over the plant and office… like the mixers that will go to Indiana and the sandwiching machines that leave for Brazil next week, the new drawings for China, India and Connecticut. Oh yeah, and participating in the CBC Blood Drive. But, today turned out to be a significant day in our CBC Blood Drive history…. The Peerless Group today, celebrated reaching the 1,000 Blood Donation Milestone! 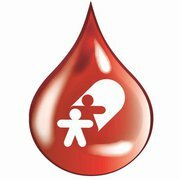 Considering that Peerless started holding and participating in blood drives back in 2004 and that we hit 982 units donated in August 2011 – this is a pretty signficant milestone. The CBC also told us that Peerless currently ranks 18th among ALL BUSINESS blood drives in the CBC’s 15 counties, an output disproportionately high for the size of our company. Click Here to visit the CBC’s Facebook page and to view photos of some employees during the collection. So, while the number of units collected from Peerless over the years may be disproportionate to the size of our company, it is not disproportionate to the generosity of our people. The Peerless Group, once again steps up to help the community. It’s a pleasure to work with a group of people who not only support the company, but more importantly, support their community.